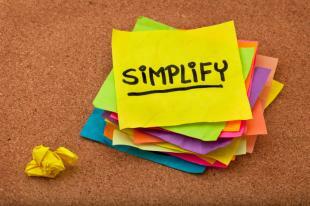 Riding on the heels of National Simplify Your Life Week (we were so stressed, we missed it! Clearly we need this), we’ve got a whole week of posts dedicated to helping you do just that—simplify your life. Striking the perfect work/life balance can seem like an impossible task. We’ve covered apps to help you boost productivity and the Top 100 Tools for Learning; this time, I’m focusing on the apps to help you in your life outside of work. Whether it’s to-do’s, grocery shopping, financial management, or goal management, these apps have your back. With Ziplist, you can search for recipes and then add ingredients into your shopping list quickly and easily. The smart list groups items by aisle to get you in and out of the store in record time. You can set regular items to repeat, scan barcodes, and share with family and friends (perfect if you take turns running errands!). Waze claims to help you “outsmart traffic,” and I can personally attest it does! Using data gathered from other Waze users, the app alerts you to traffic issues (accidents, bridges out (super helpful here in Portland! ), other hazards/congestion) and redirects you to the best alternative route. You can add friends and connect with other drivers; don’t forget to change your Wazer to match your mood! This is my go-to app for perusing blogs, news, and other articles. I don’t have time to click through dozens of sites, but I can spend a few minutes a day reviewing the top headlines on Feedly! I have an account for both work and personal with relevant sites aggregated in each. Add your own sites, or let Feedly suggest sites and topic to follow. “It’s easy to understand what’s going on with your money.” Mint is a lifesaver for those with multiple bank accounts, credit cards, mortgages, investments, and other financial obligations (and those who need budgeting help!). Simply add your account details and Mint keeps track of due dates, account activity, and more for you. You’ll get snazzy weekly summaries and tons of great data within the app. Instead of logging in to every account, make it easy and log in once to see all of your financial info! Simply scan in your loyalty cards (or type in the number!) and this app organizes and remembers them all. No more crazy keychain (I’m so guilty of this!). You’ll also find coupons and savings from the brands and stores you enter. Since we rarely leave the house without our phones, you’ll never be without your loyalty cards when you need them. Manage reminders in Evernote, add tasks with Siri, sync with Gmail, Twitter, and more—what can’t this app do? Keep your task list super organized with Remember the Milk…you’ll never forget the milk (or anything else!) again. I’m forever forgetting the books I’ve read and whether I liked a particular novel and author. Goodreads is the solution. Keep lists of books to read, books you’re currently reading, and books you’ve read, along with ratings and comments. See what friends are reading and get suggestions for what to read next. “Commit is a simple app that helps you form habits to learn or practice something every day.” Simply set a goal (“I will write every day.” “I will workout at least once a day”) and Commit will check in with you to see whether you’ve accomplished your goal. You’ll begin to create a visual chain of days in which you’ve met your goal…you won’t want to break it! Do you use any of these apps? What do you think? Did we miss your favourite? Let us know what helps you simplify in the comments!